There are few days left before this year ends, which means few days before the big party comes! I'm one of those people who is always preparing one or two days before it! This is dedicated for those of you who are like me. 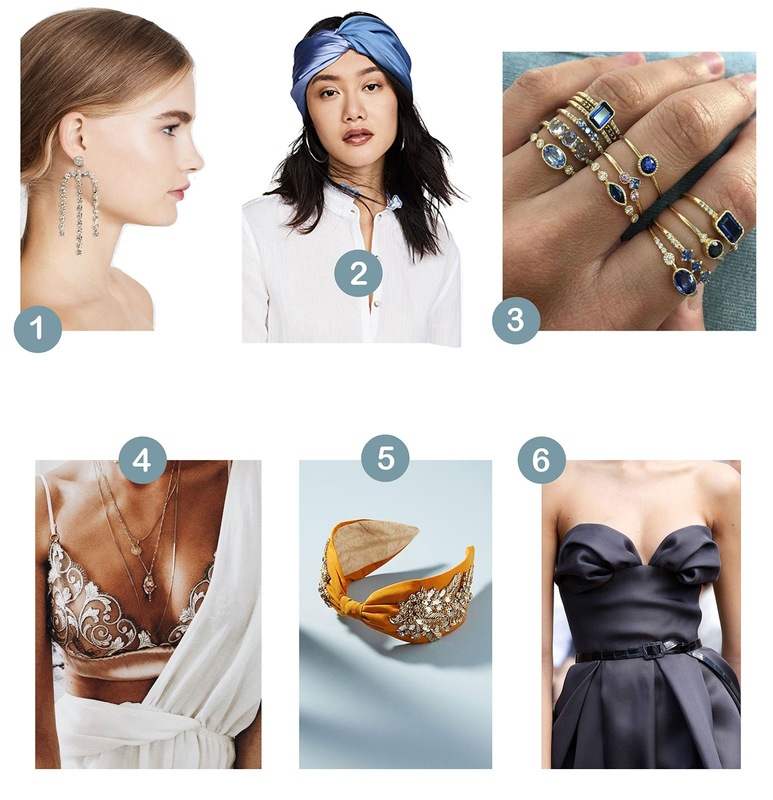 I wanted to give you a few suggestions on what accessories you can add to your look so it can be more festive and eye-catching! If you were going to ask younger me from like 3 years ago what's the ultimate accessory to make your look stand out, I would probably say statement necklaces. But now, that's not the case. Somehow, I fell for statement earrings! I think that they are a game changers. You can go with the plain black dress, cool shoes, appropriate makeup and statement earrings and I'm pretty sure that your look would stand out from the crowd! Besides statement earrings, I think that dainty rings are always a good idea! They are a great companion with any accessory you choose. They are chic and classy. You can go with one or you can layer them. It's totally up to you! If you haven't tried a trend of layering golden chokers, I think NY's party is a right time to give it a try. It's fun, chic and looks amazing! It's perfect for a more classic look. If you want to take a risk, my suggestion would be to go with a headband. It's like people forgot about its existence. I think it can be a great accessory if you are going to a home party and you don't need a super fancy look. I think it can be styled in such a cool and retro way. How are you going to accessorize your look for NY's party? 1. Find earrings here and here. 2. Find bandana here. 3. Find rings here. 4. Find necklaces here. 5. Find headbands here. 6. Find belt here. First photo is by Simona Andrejic.